When Benjamin Franklin said that the only things certain in life were “death and taxes” most people didn’t consider that they may be closely linked. But problems with taxes can lead to the death of your small business unless you take steps to keep the taxman off your back. With sales meetings, recruitment, salaries, cashflow issues, marketing, suppliers, and a whole string of other things for small business owners to worry about, there’s no need to add the taxman to the list. A robust financial system that keeps the tax authorities happy should be the foundation that underpins your business – allowing you to focus on the multitude of other issues that require your attention. The specific requirements set out by your tax authority will differ by location but many of the basics remain the same wherever you are. And most authorities are currently tightening the rules and clamping down on tax cheats and tax avoidance. Do you think your tax affairs are simple? They’re probably not. 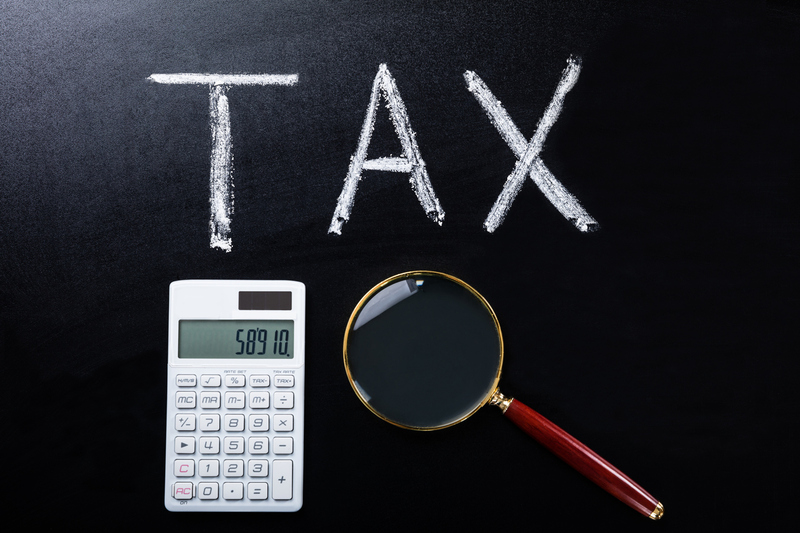 Ninety-nine percent of small business owners don’t fully understand tax legislation – so it’s important to seek specialist help. The temptation a business owner is to try to look after everything yourself. With tax, this can be a false economy: not only can it take ages to get to grips with what you need to do; it’s likely that you’ll miss something important. And the taxman will be on your back! The general rule is to file tax returns within twelve months of the end of your accounting period but this may vary with location. Good planning in your business will ensure that you’re ready for the process; you know when it’s coming, have scheduled time to do it each year, and don’t end up scrambling around at the last minute to avoid penalties. You should already understand the importance of accuracy and consistency: quite apart from generating the management reports to make good business decisions, the tax authorities love you for it too. Being consistent and accurate will help you flag any changes that affect your tax liability and explain any changes that raise questions from the tax authorities. If you have some bookkeeping experience, you may be able to manage this yourself with user-friendly cloud software like Xero. Otherwise, it’s best to have a certified bookkeeper or accountant keep your accounting records up to date. Keep the receipts and invoices for business expenses together. Most business owners know they should do this but it’s surprising how many find themselves scrambling around looking for receipts when the time comes to do tax returns. And even when they do find the receipts, they don’t know what they relate to. Keep it organised. All tax authorities want to know that there is sufficient documentation to justify business expenses. Receipts don’t have legs. Your own inefficient system is responsible for losing them or causing confusion about their origin. One of the benefits of using a cloud computing app such as Xero is the ability to take a photo of a receipt with your smartphone to ‘scan in’ an expense receipt straight into Xero; or you can use specialist apps that integrate with Xero such as Receipt Bank or Expensify. It’s easy to confuse business and personal expenditure. Unfortunately, it’s one of the quickest ways to get offside with the tax authorities. By keeping them separate, you can see at a glance what you can deduct and what you can’t: that means two separate (probably electronic) filing systems. Don’t be tempted to think “I’ll sort them out when the time comes for my tax return”. You’ll forget or cause delays. For small business owners such as tradespeople, who often get paid in cash, take extra steps to keep things transparent. You can guarantee that you will be on the taxman’s radar at some point. For income, keep additional records to back up bank deposit records, such as cash register printouts or manual records of daily sales that can be matched to the bank records. One of the benefits of moving your accounting systems to the cloud, is the ability to do things faster and easier with paperless processes. For example, trades-based businesses can use apps like ServiceM8 to quote and invoice in the field and even take electronic payments on site. If you’re thinking, “I prefer to be paid in cash,” the ‘cash economy’—where a business does not declare all its income in order to reduce profits and therefore tax—is not such a great idea. Your business will be more valuable when it comes time to sell it if you have always shown all your sales revenue ‘on the books’. Tax auditors want to know that you’re following the regulations with regards to employee reimbursement for travel, mileage, personal expenses, etc. They also want to know that expenses are appropriately signed off within the business to indicate that the business accepts liability. Document a clear policy that determines what employees can claim for and how they go about claiming it. Make sure that this is clearly communicated to all employees. There’s no room for surprise tax bills on the path to success. Tax is generally predictable and consistent. This means that you can – and should – plan for it in advance. Sit down with your tax professional, understand what’s coming and when, and create a fund that can be used to pay the bill when it arrives. Maybe lock away a set sum every month. That way there are no nasty surprises ahead. Just because your tax authority writes to you asking questions or requesting records, it doesn’t necessarily mean the worst. Never avoid or delay answering these questions, as they don’t go away. Answer in a timely fashion – there will normally be an expected response date detailed on the letter. Don’t go beyond this. Take some tax advice and answer the questions to the best of your abilities. Most tax issues can be solved relatively easily if they are dealt with before they spiral out of hand. Don’t get caught out by non-compliance with tax or it can cost you and your business. Get the right tax advice from the start and follow the tips above to keep the taxman happy.